A dramatic explosion occurred from a galaxy known as PKS B1424-418. Light from this blast began arriving at Earth in 2012. On Dec. 4, 2012, the IceCube Neutrino Observatory at the South Pole detected an event known as Big Bird – a neutrino gamma ray blazer with an energy exceeding 2 quadrillion electron volts (PeV). 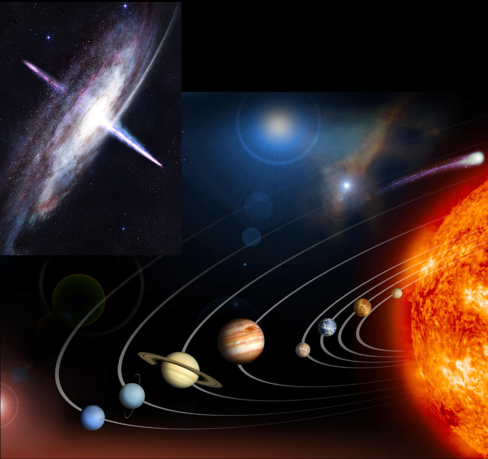 Now, an international team of astronomers, led by Matthias Kadler, professor for astrophysics at the University of Würzburg, has published their results in the scientific journal Nature Physics. 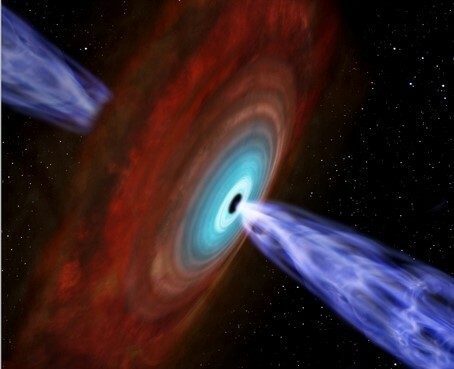 “Within their jets, blazars are capable of accelerating protons to relativistic energies. Interactions of these protons with light in the central regions of the blazar can create pions. 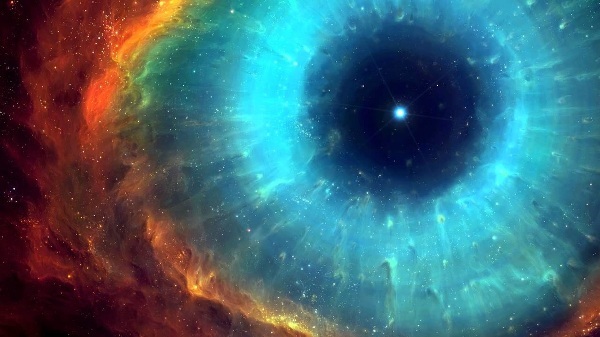 When these pions decay, both gamma rays and neutrinos are produced,” explains Karl Mannheim, a coauthor of the study and astronomy professor in Würzburg, Germany. “We combed through the field where Big Bird must have originated looking for astrophysical objects capable of producing high-energy particles and light,” adds coauthor Felicia Kraub from the University of Erlangen-Nürnberg in Germany. In published report, the team suggests the PKS B1424-418 outburst and Big Bird are linked, calculating only a 5-percent probability the two events occurred by chance alone. 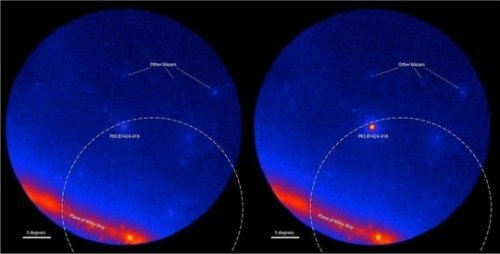 Using data from Fermi, NASA’s Swift and WISE satellites, the LBA and other facilities, the researchers determined how the energy of the eruption was distributed across the electromagnetic spectrum and showed that it was sufficiently powerful to produce a neutrino at PeV energies. 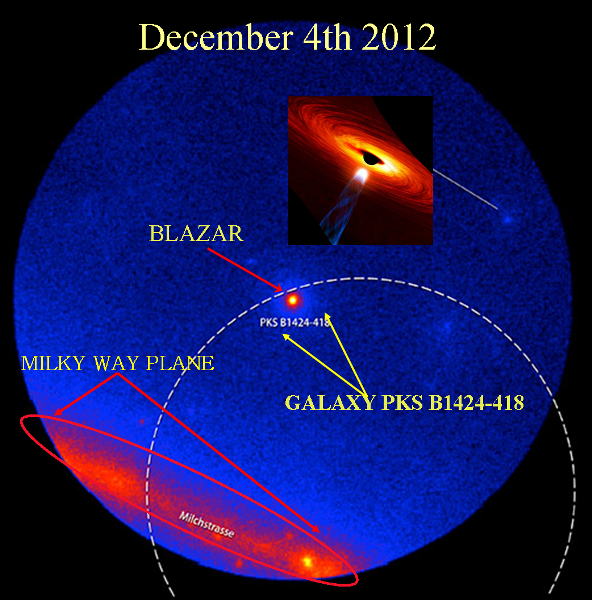 Nearly 10 billion years ago in a galaxy known as PKS B1424-418, a dramatic explosion occurred. Light from this blast began arriving at Earth in 2012. Now, an international team of astronomers, led by Prof. Matthias Kadler, professor for astrophysics at the university of Würzburg, and including other scientists from the new research cluster for astronomy and astroparticle physics at the universities of Würzburg and Erlangen-Nürnberg, have shown that a record-breaking neutrino seen around the same time likely was born in the same event. The results are published in Nature Physics. Neutrinos are the fastest, lightest, most unsociable and least understood fundamental particles, and scientists are just now capable of detecting high-energy ones arriving from deep space. The present work provides the first plausible association between a single extragalactic object and one of these cosmic neutrinos. Although neutrinos far outnumber all the atoms in the universe, they rarely interact with matter, which makes detecting them quite a challenge. But this same property lets neutrinos make a fast exit from places where light cannot easily escape such as the core of a collapsing star and zip across the universe almost completely unimpeded. Neutrinos can provide information about processes and environments that simply aren’t available through a study of light alone. Recently, the IceCube Neutrino Observatory at the South Pole found first evidence for a flux of extraterrestrial neutrinos, which was named the Physics World breakthrough of the year 2013. To date, the science team of IceCube Neutrino has announced about a hundred very high-energy neutrinos and nicknamed the most extreme events after characters on the children’s TV series “Sesame Street.” On Dec. 4, 2012, IceCube detected an event known as Big Bird, a neutrino with an energy exceeding 2 quadrillion electron volts (PeV). To put that in perspective, it’s more than a million million times greater than the energy of a dental X-ray packed into a single particle thought to possess less than a millionth the mass of an electron. Big Bird was the highest-energy neutrino ever detected at the time and still ranks second. In a paper published Monday, April 18, in Nature Physics, the team suggests the PKS B1424-418 outburst and Big Bird are linked, calculating only a 5-percent probability the two events occurred by chance alone. 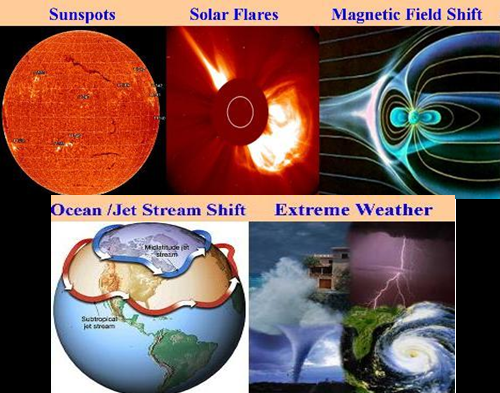 Using data from Fermi, NASA’s Swift and WISE satellites, the LBA and other facilities, the researchers determined how the energy of the eruption was distributed across the electromagnetic spectrum and showed that it was sufficiently powerful to produce a neutrino at PeV energies. But this study also demonstrates the vital importance of classical astronomical observations in an era when new detection methods like neutrino observatories and gravitational-wave detectors open new but unknown skies. New work from a research team led by Carnegie’s Anat Shahar contains some unexpected findings about iron chemistry under high-pressure conditions, such as those likely found in the Earth’s core, where iron predominates and creates our planet’s life-shielding magnetic field. Their results, published in Science, could shed light on Earth’s early days when the core was formed through a process called differentiation–when the denser materials, like iron, sunk inward toward the center, creating the layered composition the planet has today. Earth formed from accreted matter surrounding the young Sun. Over time, the iron in this early planetary material moved inward, separating from the surrounding silicate. This process created the planet’s iron core and silicate upper mantle. But much about this how this differentiation process occurred is still poorly understood, due to the technological impossibility of taking samples from the Earth’s core to see which compounds exist there. Seismic data show that in addition to iron, there are “lighter” elements present in the core, but which elements and in what concentrations they exist has been a matter of great debate. This is because as the iron moved inward toward the core, it interacted with various lighter elements to form different alloyed compounds, which were then carried along with the iron into the planet’s depths. Which elements iron bonded with during this time would have been determined by the surrounding conditions, including pressure and temperature. As a result, working backward and determining which iron alloy compounds were created during differentiation could tell scientists about the conditions on early Earth and about the planet’s geochemical evolution. Because of this accounting difference, isotopes’ masses are not the same, which can sometimes cause small variations in how different isotopes of the same element are partitioned in, or are “picked up” by, either silicate or iron metal. Some isotopes are preferred by certain reactions, which results in an imbalance in the proportion of each isotope incorporated into the end products of these reactions–a process that can leave behind trace isotopic signatures in rocks. This phenomenon is called isotope fractionation and is crucial to the team’s research. Before now, pressure was not considered a critical variable affecting isotope fractionation. But Shahar and her team’s research demonstrated that for iron, extreme pressure conditions do affect isotope fractionation. More importantly, the team discovered that due to this high-pressure fractionation, reactions between iron and two of the light elements often considered likely to be present in the core–hydrogen and carbon–would have left behind an isotopic signature in the mantle silicate as they reacted with iron and sunk to the core. 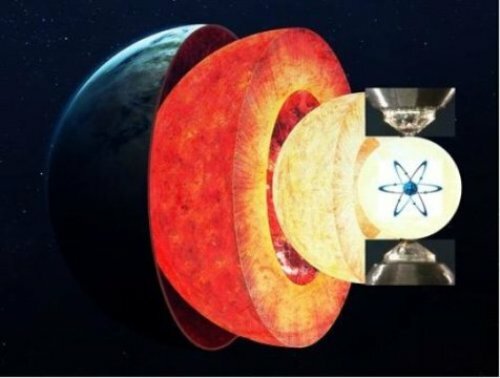 But this isotopic signature has not been found in samples of mantle rock, so scientists can exclude them from the list of potential light elements in the core. Oxygen, on the other hand, would not have left an isotopic signature behind in the mantle, so it is still on the table. 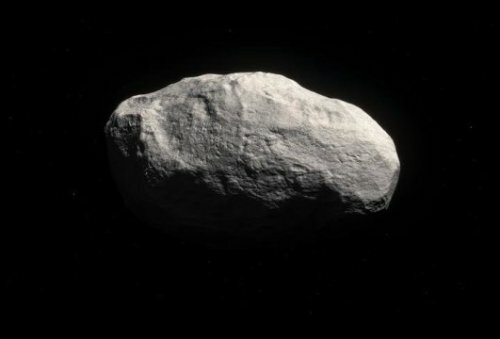 Likewise, other potential core light elements still need to be investigated, including silicon and sulfur. 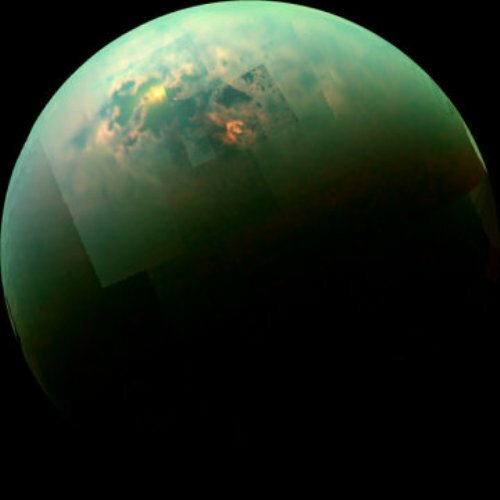 The Cassini-Huygens mission is a cooperative project of NASA, ESA (European Space Agency) and the Italian Space Agency. JPL, a division of the California Institute of Technology in Pasadena, manages the mission for NASA’s Science Mission Directorate in Washington. The radar instrument was built by JPL and the Italian Space Agency, working with team members from the US and several European countries. Researchers from the University of Southampton, GNS Science (New Zealand), the University of Otago, and GFZ Potsdam (Germany), identified the sources and fluxes of the geothermal fluids and mineral veins from the Southern Alps of New Zealand where the Pacific and Australian Plates collide along the Alpine Fault. From careful chemical analyses, they discovered that fluids originating from the mantle, the layer below Earth’s crust, and fluids derived from rainwater, are channelled up the Alpine Fault. By calculating how much fluid is flowing through the fault zone at depth, the researchers showed for the first time that enough rainwater is present to promote earthquake rupture on this major plate boundary fault. Lead researcher Dr Catriona Menzies, from Ocean and Earth Science at the University of Southampton, said: “Large, continental-scale faults can cause catastrophic earthquakes, but the trigger mechanisms for major seismic events are not well known. 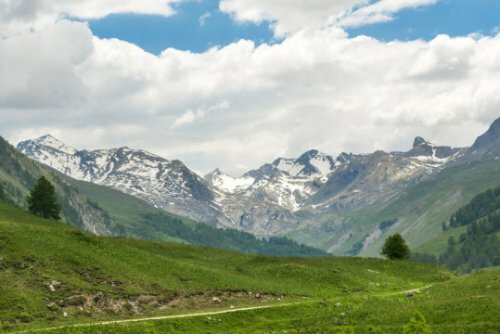 Geologists have long suspected that deep groundwaters may be important for the initiation of earthquakes as these fluids can weaken the fault zones by increasing pressures or through chemical reactions. The Alpine Fault is a major strike-slip fault, like the San Andreas, that fails in very large (Magnitude 8+) earthquakes around every 300 years. It last ruptured in 1717 AD and consequently it is under intense scientific scrutiny because it is a rare example of a major fault that is late in the strain-build up before rupture. Dr Menzies said: “We show that the Alpine Fault acts as a barrier to lateral fluid flow from the high mountains of the Southern Alps towards the Tasman Sea in the west. However, the presence of mantle-derived fluids indicates that the fault also acts as a channel for fluids, from more than 35 km depth, to ascend to the surface. Funding for this research, published in Earth and Planetary Science Letters, was provided by the Natural Environmental Research Council (NERC), Deutsche Forschungsgemeinschaft, and GNS Science (New Zealand).